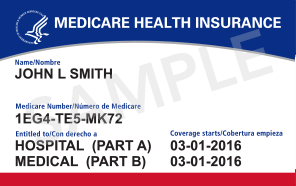 New Medicare ID Cards will be mailed out beginning April 2018 to all current Medicare Beneficiaries. 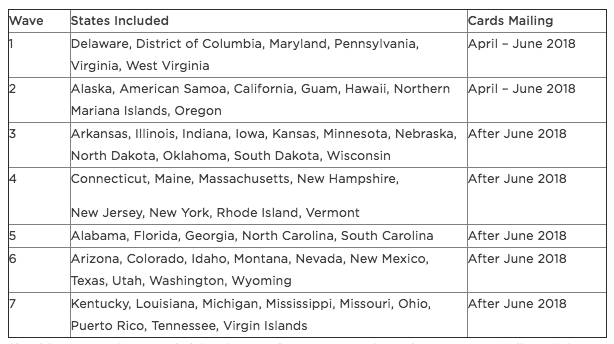 New law requires CMS to remove Social Security Numbers from Medicare cards. A randomly generated Medicare Beneficiary Identifier or MBI will be used by April 2019, to protect an individual’s identity. The new cards will look similar to the current red, white and blue Medicare cards. Continue to use your current ID cards with your insurance company. This new Medicare ID card does not replace those. Keep your current Medicare card with you. You may have to provide both to your doctor during this transition. Please see the chart below outlining the timeframes based upon where you live. Should you experience and claims issue or have any questions please contact Colleen Geiger or Bud Fassnacht at 740-967-0210.